Techstars, the worldwide network that helps entrepreneurs succeed, needed a way to get its educational offering organized, accessible, and understandable to all its audiences from Startup Weekend participants to accelerator participants world-wide. • Tone of voice development. • Openly available microsite toolkit. • Testing to get user feedback. Borough + Block curated video content from Techstars’ expert mentors to create compelling educational materials around entrepreneurship. Borough + Block built out interactive worksheets that allow users to follow up on the video lessons with practical exercises. 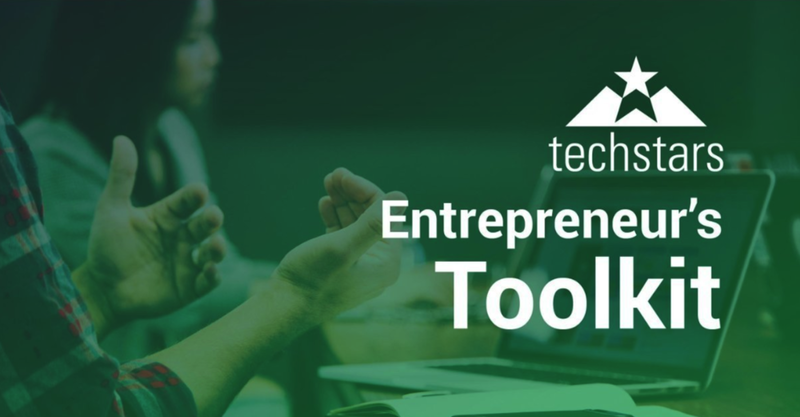 Internal stakeholders at Techstars are calling this new Entrepreneur’s Toolkit a “labor of love” and with good reason — the heart behind this brand gets genuinely excited to see innovations come to the market, to see problems go away, and to see people’s dreams and hard work become reality. Borough + Block will write and design a mentor’s guide to compliment the ever-growing Entrepreneur’s Toolkit, so look for additional topics to be added throughout the year and for more great startups coming out of this benefit organization. Borough + Block is a human-centered design studio focused on learning and educational projects. We turn user insights into strategies and build customized education programs and tools so our clients can grow. I guide research methods, build strategies, provide design direction, and coach teams through the process of change and implementation.